Ann and Julian Marcus embarked upon another of their biennial safaris in January and February 2017. Remarkably, they made more than 25 project visits, at their own cost and enduring no little discomfort on the way. Their careful recording of their impressions makes fascinating reading, and will help inform TDT for some time to come. The visits below highlight three key areas of need, in which TDT seeks to help: health, vocational training, and hostels to enable girls to live safely whilst receiving education. Over the coming weeks we shall feature several more of their project reports and observations. Much of Mtwara Region is covered by uncultivated African scrub, in which there are scattered clearings with houses made of wattle and daub and a straw roof – the housing of the African poor for the last millennium. Newer done-up houses are much rarer, with their distinctive shiny silver or blue corrugated iron roofs. The worst school exam results in the entire country come from this Region. This may be reflective of the way that the Tanzanian State education system so often discourages questioning and initiative taking and rewards acquiescence and rote note-taking. We bumped along the sandy dirt roads for about 3 hours, frequently asking villagers the way, before arriving at Mnyambe Government Dispensary. As there are no detailed local maps available to Tanzanians, so there is great potential in a smart phone application Maps.me introduced to TDT by Project Officer, Janet Chapman, whereby you can add places to a map which is shared via the Internet and can then be downloaded to any Smartphone. 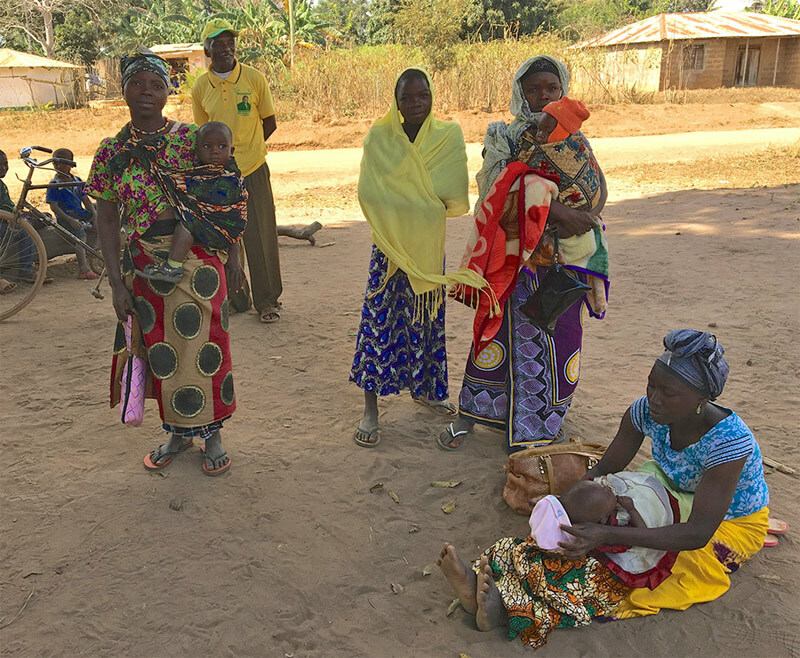 In Tanzania, Dispensary means a clinic, which does first-aid, screens for malaria and HIV, helps the elderly, offers family planning, run mother and baby clinics, and where mothers can give birth assisted by a trained birth attendant or midwife. 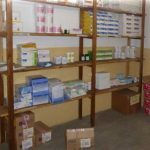 This Dispensary has been completely rebuilt since 2015, with TDT channelling funds from African Palms Association. Only the chief nurse was available at the hospital when arriving in opening hours, 7.30am-1.30pm. Outside those hours, the staff are easily contactable in emergency. The nurse was able to supply plenty of information. 26 babies had been born since July and there were no maternal or infant deaths. They only ‘do’ normal births. Women with complications or needing C-sections are referred up to the nearest hospital. They see about 20 patients a day. The hospital has an ambulance. The nurse was surprisingly forthcoming about family planning, which is offered free of charge. Most men are not prepared to take any responsibility so where the husband will not co-operate, the clinic is empowered to give women monthly injections which will prevent pregnancy. 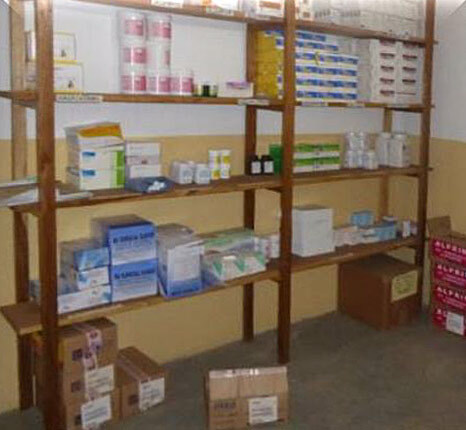 The Dispensary’s main problem is a lack of water, which they have to buy at 20 litres for about 50p. Maternity patients are required to come with a bucket of water. The nurse was delighted to receive the bundle of medicines donated by All Saints Church. Despite the generous grants, the Dispensary has a slightly unfinished air, and this may be due as much to a lack of trained, personal on-site management, empowered to take decisions, as to the perennial shortage of cash. Youth Training and Entrepreneurship project, Chilungulungulu village. Saturday 21st January. Our first visit was to TDT’s project 415, the Youth Training and Entrepreneurship project at the almost impossible to pronounce Chilungulungulu village. 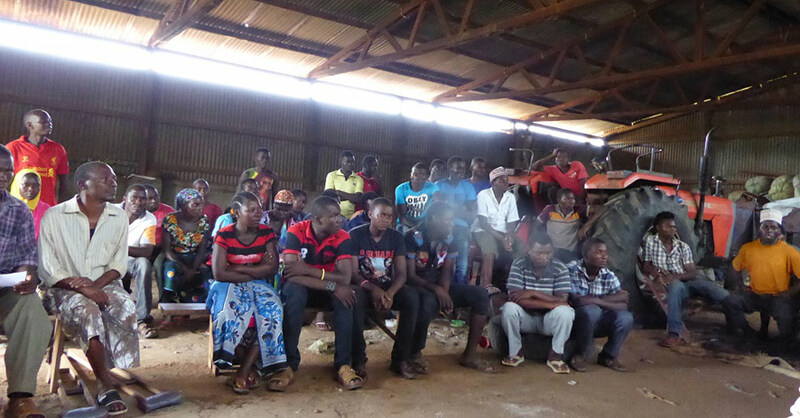 Background: The application for this project to TDT was based on research conducted with young people following some riots, which found considerable lack of opportunity for those with limited education. The youngsters involved in the research decided to initiate this project to get training in entrepreneurial skills with advice on necessary business strategies. 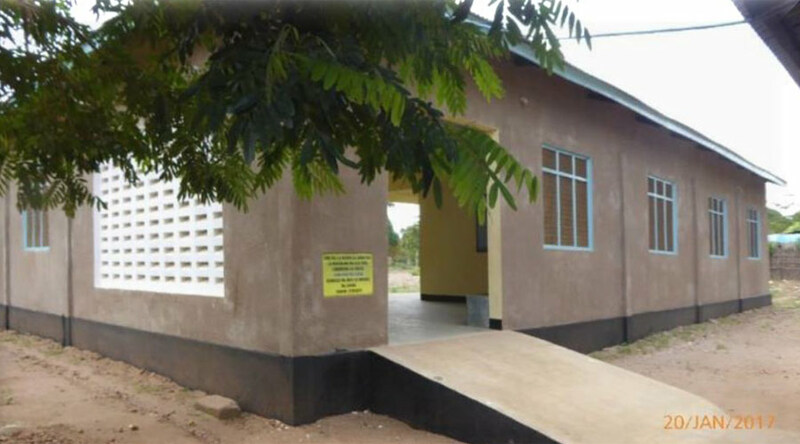 They also aim to build a Vocational Training Centre with dressmaking and carpentry facilities. The image below shows the meeting in which the project was originally explained to TDT officers Julian Marcus and Linus Buriani. Again, this has been funded to very good effect by the African Palms Association. 3 of the Board members and one of the staff were there to meet us on their day off, plus a bevy of girls and one intrepid lad (50% of the tailoring course students) and some of the woodwork students. 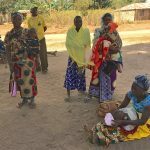 With the first comparatively modest grant they have received, they have bought sewing machines and woodwork tools and benches. 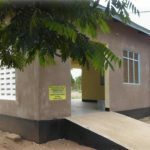 The tailoring course is in a tiny windowless room and the woodwork in a makeshift shed, but much of the grant has been used to buy a plot of land where a purpose built, Vocational Training Centre will be built. It was excellent to hear that VETA, Tanzania’s Vocational Training Authority has been consulted throughout and approved the plans. The 59 students are already finding good sales for clothes and they have a contract for making school desks. This is an excellent and optimistic project. It was great to see the latest diocesan project which is to build a house for 80 girls who are receiving their education in Masasi. Living far from the town the practice is for their families to rent rooms in private houses where all too often the girls fall victim to predatory males, get pregnant and are unceremoniously ejected from the education system, never to re-join it. The Diocese is acutely aware of the danger to girls and hence the project. The foundations are already laid and given the local commitment plus a refreshingly large female representation on the committee, it has every prospect of filling a sad gap. Let’s meet next time for more from Ann and Julian.